The Third Vision the Zechariah experiences in the night expands upon a line spoken to him in the first vision. When the Lord promised to return to His people and dwell in their midst, He told the prophet that as His house was built in Jerusalem He would stretch out a surveyors line over the city (Zech 1:16). Here now we see this man with the measuring line going out to monitor the dimensions of the City of God. As Zechariah recognizes the interpreting angel, another angel tells the interpreter to run to Zechariah and tell him about what is happening as the city of Jerusalem is being measured. Even as the width and length are calculated the City continues to expand. In ancient times, the heart of the city was surrounded by walls. This would offer protection against attackers giving shelter to those under assault. The art of warfare evolved based on finding new ways to overcome the enemies defenses, including bulding large siege ramps of dirt against the wall until the invaders could climb over, to later development of weapons to knock the walls down. However, in this vision, Zechariah sees that the City of Jerusalem will grow and expand to the point that the walls cannot contain all the people and animals. They will overflow out around the city and keep expanding as God blesses them. But how will these people be defended if there is no wall to contain them? These words of comfort also come with a challenge. As God is showing Zechariah how He will bless His people He also gives a warning. Those from Judah who stayed behind in Babylon after the return under Nehemiah and Ezra were now warned to get up and get out of this foreign land. No matter how much like home it felt after 70 years, it was about to be judged by God and so His people needed to flee the wrath to come. The Lord sees His people as the “apple of His eye.” This refers to something that is cherished, but also refers to the pupil of the eye, meaning the most sensitive part of the eye. Those who attack God’s people not only attack something very precious to Him, they seek even to injure Him, as if to poke Him in the eye. To assault God’s people is to attack God Himself. The response then is that God has already told the Babylonians and the Persians that they will be judged themselves for the way in which they have treated the people of God (Ezekiel 39:25-29). From this challenge then there is a return to words of comfort and encouragement. The Lord tells Zechariah that He is coming! Not only is He coming to dwell in their midst, to protect them as a wall of fire, but He will live with them, in the midst of them. As the people of God expand Zechariah is even told that other nations will join with Judah and become with them the people of God. All nations, people from every tribe and tongue, will join in the Covenant. They will all together be the people of God. This means of course that the people of God will no longer be confined to one geographical location, but just as Abraham was promised (Gen 12:3), the boundaries of God’s people will be enlarged beyond Jerusalem. This is fulfilled of course through the birth and spread of the Church, as the gospel, the good news about the New Covenant spreads around the world (Eph 2:13-16). To confirm this wondrous promise about the exapnsion of the people of God beyond borders and boundaries, the Lord says to Zechariah, “The Lord of Hosts has sent Me to you.” Over and over in the New Testament we have this testimony confirmed as Jesus tells His disciples and others that the Father has sent Him to them. The reason for the expansion and blessing of the people of God is found in His promise to come to them in the Person of the Messiah. This is a promise about the coming of our Savior. The result of all that Zechariah sees in this vision then is that all people will be silent, they will be still as God moves and begins both to bless His people and judge their enemies. As He is stirred up and begins to do what He has revealed to the prophet, the only response we can have is to watch in awe and reverence. At times we forget that God dwells in our midst. We forget all that He has promised to do, and to give us, through His Son. We become so busy doing the work of the Lord that we forget the Lord of the work, and then we wonder why we are so busy and yet so spiritually barren. 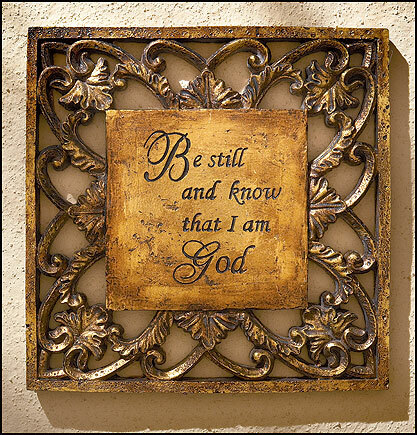 Perhaps it is because we need to stop, to be still, as we watch God work. This does not mean we are inactive, it means we have a proper view of the Lord and know when we simply need to stop and be quiet. As we see God expanding the width and breadth of His people as the gospel is proclaimed around the world, let us not forget that ultimately all of the world is His, and He promises it as an inheritance to the meek, not the mighty (Psalm 37:11; Matt 5:5). Join us this Sunday, August 14, for the next message in our series through Zechariah, “The Holy Habitation”, as we study the third vision given to the prophet in Zechariah 2:1-13. Come and learn where the Lord dwells.